As more startups seek funds, the question of which is a better investor – tech giant or venture capital firm? 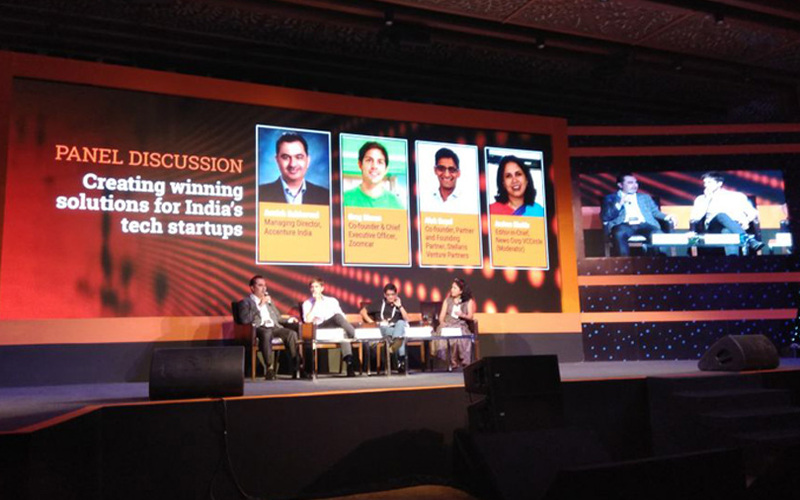 – took centre stage in a panel discussion held at the TechCircle Summit in Bengaluru on Thursday. The 2018 edition of TechCircleLive saw entrepreneurs and investors gather in the city to discuss how technology and the digital revolution have affected the way businesses are run in India. Goyal added that the strategic role of big IT firms in a startup’s life can be immense but at an early stage a venture capital firm may be better. Dismissing the notion of IT versus non-IT players, Greg Moran, co-founder and chief executive officer of self-drive car-rental firm Zoomcar, emphasised the importance of early investments and downplayed investor types. He talked about the financial help his firm got from Ford and Mahindra. “They are deep strategic partners. From supply side, they were a big help. IT players or non-IT players don’t matter… It is important to get early investments,” he said. So, when asked what will it take to get Accenture’s attention, Sabharwal said disruption. The consulting services firm looks at startups on how disruptive they are, he said. Stressing the “focus” factor, Sabharwal added that he hopes startups are not solving all problems for every client. “We want startups to be two-inch wide and 20-inch deep,” he said. Sabharwal added that his company has made 27 investments globally so far, with a special focus on deep tech. He pointed out that the ticket size of their investments is mostly $1-10 million. He added that even though the company does big acquisitions and acqui-hires, its first goal is to get startups good access to the market. The talks were moderated by Archna Shukla, editor-in-chief of News Corp VCCircle.